No matter what type of content creator you are, if you want to be able to produce high quality footage, you need the right tools to stabilize it. Most filmmakers have a good tripod, some may even have purchased a monopod for when they’re on the go. Those are great stabilization tools, but what if the tone of your shot requires you to go handheld? That’s where the shoulder rig comes into play. FilmToolKit has done tons of research and read all the reviews to help you find the best DSLR shoulder rig that suits your price range and needs. 1 Why Should You Buy A DSLR Shoulder Rig? Why Should You Buy A DSLR Shoulder Rig? Not sure if you need to buy a shoulder rig? Here are just a few reasons why they’re a worthwhile purchase. The Stability – With small rigs like DSLRs, if you don’t have some sort of stabilization equipment, there is a good chance your footage will be completely unusable in any sort of professional capacity. Purchasing even the cheapest shoulder rig will give just about anyone the ability to shoot steady, and stop giving their audience headaches! The “Shoulder Rig” Aesthetic – Certain shots can be enriched by the controlled-shake that a shoulder rig in motion produces. Following a character, shooting an action scene, or moving POV shots are all perfect candidates for busting out the shoulder rig. They can be cheap! 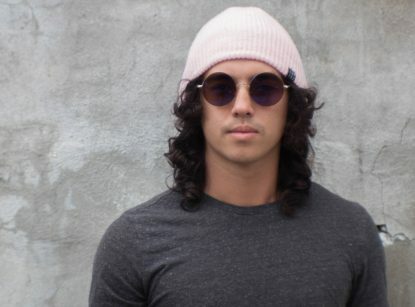 – Although our favorite choice on this list is around $400, decent shoulder rigs are available for around $50-60, like our cheapest selection! If you’ve got the money to spend, the IKAN ELE Ev3 shoulder rig is the top of the line when it comes to DSLR shoulder rigs. As soon as you take this thing out of the box, you’ll be able to tell that the build quality is excellent, and that this rig will be lasting you a very long time. Ikan is a trusted brand across the film industry with their wide variety of devices and accessories – and this shoulder rig upholds their strong reputation. The shoulder rig has several key features that make it excellent. For one, it has a quick release base plate for snapping on your camera in seconds. This is a feature we have discussed as important many times in our monopod and tripod reviews, as it is essential for shoots with tight time constraints. This baseplate is also configured to allow it to snap right onto a tripod without leaving the rig, so you can go from handheld to mounted quickly as well. The handles have been highly praised for being very stable and will not twist or come off. The rig is fairly long so you have a lot of room for important tools like monitors, matte boxes and focus wheels. The counterweight works perfectly, and is removable as well if you would like to substitute it for a battery pack for your camera. All in all, this is the most versatile rig we could find. The shoulder rest comes down and puts some of the weight on your chest, making this the most comfortable rig we looked at as well. The IKAN ELE Ev3 is the best DSLR shoulder rig we could find. This is a very safe purchase, it has everything you need, and Ikan has excellent customer service on the off chance of anything being wrong with yours. Get this shoulder rig! Note: There is both an offset, and a regular version depending on whether you will be using the viewfinder, or a flip-out viewfinder/external monitor, so make sure you get the right one! When it comes to shoulder rigs, there’s a lot of options at just about every price range. Perhaps our best pick was a bit too pricey for you. If you are shooting video footage with a DSLR, and want the best rig you can get without splurging too hard, this is the best option for you. While the branding may sound super generic, this shoulder rig is anything but. Now, it’s clearly not the same as a $1000 tilta rig, but for around $250, this shoulder rig is a major leap in quality in terms of consumer-grade shoulder rigs. One big reason why is that the pieces on this shoulder rig are all based on industry standard 15mm rod systems. This will add longevity to the shoulder rig’s relevance. It’s fairly affordable for small time filmmakers with small DSLR rigs, but has plenty of room for accessories like LEDs, microphones and monitors once you begin to improve your kit. This also means that most of the parts are easily replaceable as well as upgrade-able. Now, about the rig itself, this thing is incredibly sturdy and durable for it’s price. Everything important is metal and all the important parts can be articulated. The handles are comfortable, the rig is very stable, and it doesn’t feel overly cumbersome or cheaply built. We wouldn’t necessarily recommend this for an industry professional who is shooting all day every day for weeks, but as a YouTuber or otherwise small-time filmmaker, this rig is perfect. In terms of criticism, there were a few small things that came up in the reviews. The main gripe is the lack of a counter-weight system, but it is pretty easy to fix this by purchasing accessories or adding one yourself. A small minority of users have also said that the foam shoulder rest was a bit firm for their tastes, but your mileage may vary. Many reviewers who left such comments still did not hesitate to leave a 5 star rating on the product, so we think it’s pretty safe to say they were still very satisfied with the PR-1’s performance. If you’re looking to get the best value out of your money, this shoulder rig really packs a punch. The Filmcity DSLR shoulder rig is a robust, lightweight shoulder with a lot of accessories at a good price. This rig is all about versatility, and many reviewers have praised it for being highly customize-able and adaptable to any situation. This rig is even more complete than our previous recommendation in that it also includes a counter weight! While it may look like a small addition, counterweights are very important for overall stability and reducing fatigue during long shoots. The included handle bracket provides you with several options so you can fit any type of thread on the rig. The grips and shoulder pad are very comfortable considering the asking price. All in all, this thing is an excellent value proposition. There are a lot of plastic parts here, so it isn’t as durable as full metal rigs like those from Ikan, but as long as you’re not dropping and throwing it all the time, you shouldn’t have too many issues with it breaking. If you have a small film collection and don’t own many accessories, this option is perfect, as it includes a fairly decent barn door matte box. A matte box is a very important tool for eliminating unwanted lens flares and using filters. It also comes with a handle to convert the shoulder rig to an above-held rig. These two accessories were enough for us to decide that this is the best DSLR shoulder rig for the money! Over the course of all our reviews, Neewer has proved themselves to be an A grade contender in the world of low to mid range filmmaking equipment. Their shoulder rig is no different, and we consider it to be the best option for those of you who are on a budget. Designed specifically for smaller cameras like DSLRs, this rig is very lightweight and versatile. This is a bare bones rig at a very affordable price, and we think that’s a good thing! Everything important on this rig is high quality metal, and despite the cheap price it feels very sturdy and like it will last you awhile. This is the perfect shoulder rig for beginners. While it is not as comfortable or versatile as some of the more expensive options on our list, it does the job well at a cheap price. The shoulder pad, as you can see, is a little less nice than the more expensive ones, but many have said that it only becomes a problem after extended use. If you are planning to use this with heavier camera rigs, you may wish to invest in a counterweight system. These are available from Neewer for less than $20, and are also fairly easy to craft yourself. As this is our pick for the best budget rig, the Amazon listing we have linked to is the most bare-bones model of this shoulder rig. If you like Neewer’s products as much as we do and are willing to spend a little more, they sell the same shoulder rig in larger bundles with things like counter weights, focus wheels, handle grips and matte boxes. All of these upgrades are also at a very competitive price, and we think that even their $160 dollar model is worth the purchasing price. If you have almost no budget, but are still looking for some sort of cheap solution to stabilize your handheld shots, this is the DSLR shoulder rig for you. The ePhotoinc RL01 takes an unorthodox, simplistic approach to its design, and is still the cheapest rig we could find at under $40. You may have already noticed that this shoulder rig has a much different appearance than the others. The lightweight and compact design not only make it easy to carry, but they also make the product very affordable. The product is extremely lightweight at less than three pounds, and every single component is adjustable. The coolest thing about this product is the adjustable handle that allows you to transform the device from a shoulder rig to a single-handed camera rig. That’s a feature that not even the most expensive rigs we looked at have! Of course with a cheaper rig like this there are bound to be some trade-offs, but the consensus is that they are largely marginal. Some people have complained about the grips sliding off easily, and that with heavier payloads it can lose stability fast, but our expectations are low considering it’s staggeringly small asking price. The rig lacks shoulder padding, and can be a little bit uncomfortable with extended use, but it definitely gets the job done. Many reviewers have said that it is excellent quality despite the price. There are even some reviewers who have reviewed it positively even after breaking theirs, saying that they broke the first one, bought a second one, and it’s still cheaper than most shoulder rigs. If you want to spend as little money as possible but still get a fully functioning stable shoulder rig, look no further. Okay, the Blackmagic Cinema Camera is not really considered a DSLR. But, when it comes to professional cinema cameras, it’s the closest thing. If you’ve got a Blackmagic Cinema camera, this is the best option for you – this rig was designed specifically for it! The entire rig is very lightweight, incredibly sturdy, and has a base plate intentionally designed to let your Blackmagic camera vent and prevent overheating. Reviewers have praised its sturdiness, and claimed that it rivals units that cost three times as much. The shoulder padding is well crafted, durable, and features a counterweight pouch to keep your camera light and save your back. Several users have even removed the counterweight and replaced it with a battery pack, so you can keep your camera going while still having the same balancing effect. It mounts well onto a tripod, and the handles are very adaptable to fit any shooting situation. In terms of criticism, a few users have noted that with the custom base plate, non-Blackmagic cameras can be a little difficult. It’s perfect for the Blackmagic, and other cameras will still attach, but if you know you’re going to be shooting with a wide variety of cameras, you may want to consider purchasing a more versatile unit. Despite this criticism, the unit is still a very strong, stable, and comfortable shoulder rig for all cameras, and is definitely worth the purchasing price. The Amazon link we’ve referred to here also has different options include a basic cage, a top grip handheld mount, a tilta camera rig, and a few others. This is your one stop shop for handheld stabilization when it comes to the Blackmagic Cinema Camera. A quick release baseplate system is an important feature for those looking for adaptability and speed. Several higher end shoulder rigs feature plates that can snap your camera on and off in seconds. Sure, you could just use the provided screws to mount your camera like normal, but that could take several minutes, and on an expensive shoot, you need every minute you can get. Some shoulder rigs are even set up so you can mount them directly onto a tripod, allowing you to go from sticks to handheld in no time. Probably the most obvious feature, but that’s because it’s so important! 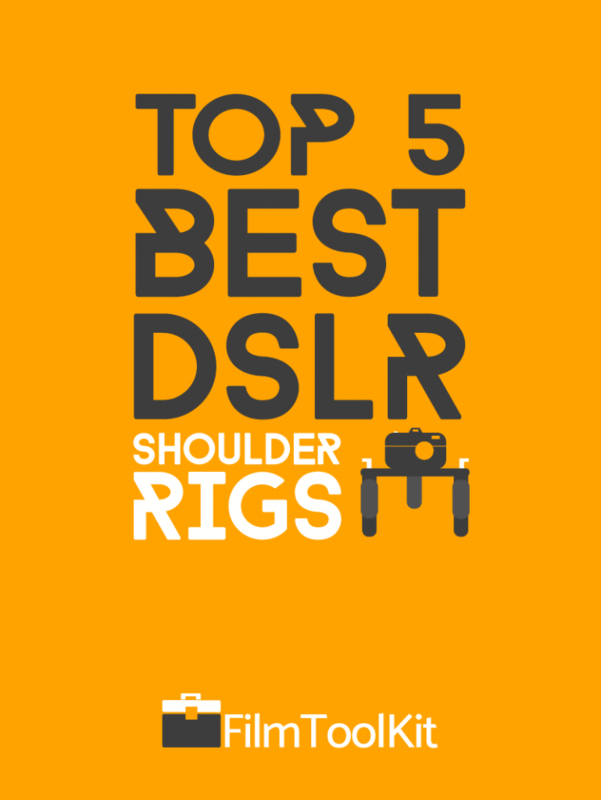 A quick glance at our list above shows that every shoulder rig has a different amount of padding. Clearly the more expensive models have a more complex padding design, while the lower-end shoulder rigs feature just a foam block or an unpadded stick. If you know you’re going to be doing work where you have the rig on your shoulder for several hours at a time, we think it’s a no-brainer to make sure you get extra padding. If you’re only going to be using a shoulder rig for shots here and there, or if you just make quick little YouTube videos, we’d recommend saving money and going for a cheaper configuration with a less complex padding design. You could always just wrap a towel around the rig anyways! One common feature noted in all of our higher end picks are counter weights. Cheaper DSLR shoulder rig systems usually decide to ditch the counter balance system so they can be priced better. These shoulder rigs will work, and definitely get the job done, but will take a toll on your arm and you will have to deal with fatigue after a couple hours of use. Not all counter weight systems are created equal. While any form of counter balancing will assist you in carrying your camera, some are much more effective than others. Brands like Ikan have been recognized for their superior counter balancing systems, where the weights are loaded in an area that make your camera nearly weightless. We made sure to check the reviews of each product to make sure that the counter weight system is effective. Every shoulder rig has at least one stabilization form – they can be placed on your shoulder. What we noticed in our research however, is that some shoulder rigs actually can transform or offer attachments to achieve different stabilization forms! Several of our options offer cage brackets that will allow you to hold your camera from above, and even our cheapest option is able to tilt and convert to a handheld stabilization design! If you will be needing multiple varieties of stabilization, make sure you pick up a DSLR shoulder rig that is versatile! In addition to the previously mentioned alternative stabilization forms, some shoulder rigs have opted to include really awesome accessories! These include things like matte boxes, handle brackets and focus wheels! Now, if you’re an industry professional who is working on big films, you’re going to want to spend a lot more than $0 dollars on your focus pull or matte box, but if you’re a YouTuber or student filmmaker, these additional tools are a great addition to your kit!